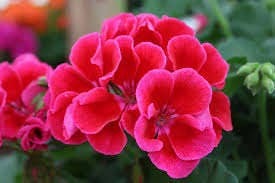 Geranium Essential Oil Fresh, herbaceous, powerful. Floral-minty and green, rose geranium has distinct rosy aroma. Combine with rosemary, jasmine, patchouli and lavender according to your liking to make your own essential oil blend. Blends well with almost everything, clary sage, lavender, chamomile, rosemary, basil, thyme, cedarwood, spices, etc. No known toxicity. Just as described. It took longer to ship than I expected but still arrived early so I'm very happy.